How big of an impact can a small change have? The Samsung Galaxy S6 edge has only the extra screen curves compared to the vanilla Galaxy S6, but these two phones couldn't feel any more different - it's a difference that you can readily feel when you hold them in your hand. Different, and yet the same, the two Galaxy S6 phones share some of the best components available, tied together with software built on new philosophy to match the new hardware ideology. Here's the recap of the key specs and disadvantages and... please, pardon the deja vu feel. Samsung spun off a whole new Galaxy line, the A (or Alpha) series, to practice making phones with proper metal frame and then got back to the drawing board and came out with the new design language of the Galaxy S6 family. Combining the metal frame with a dual-glass build (front and back) is certainly not the most novel design solution but it's one that works well and it's a first for Samsung's smartphones. And despite being their first attempt at this design approach, the Galaxy S6 came out borderline perfect - perhaps lacking on novelty, but excelling in implementation. 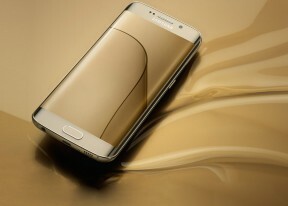 The Galaxy S6 edge however takes it even further for those who want something that much more special. It comes with an off-the-chart novelty factor and is rightfully priced higher than the regular Galaxy S6. But is this sort of a difference worth the hefty price premium? A tough question, indeed, unless you reside in one of those markets where the Galaxy S6 edge will be selling with 64GB of storage as a base version, partly making up for the outrageous markup. But even then, you sure are getting a lot more than a mere storage upgrade for the extra money. Join us on the following pages as we explore the hardware differences between the two and discuss the added value of the curved screen. Update, April 28: Don't miss the companion video for this review. 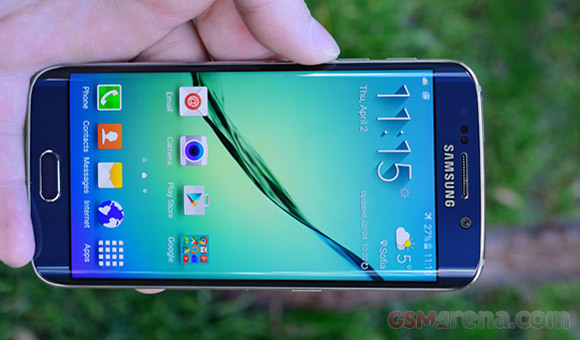 In case you don't feel like reading this 11-page review, it should get you through the most important points about the Galaxy S6 and the Galaxy S6 edge in under 6 minutes. i used Samsung S6 EDGE... i think all is excellent, but battery is not enough..